A beautiful 8″ Kosta Boda vase by Bertil Vallien. 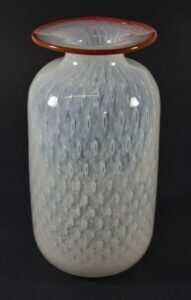 This jar-like shaped vase is finished at the top by a pulled back rim. The glass is produced using a controlled bubble technique with white captured around the bubbles. 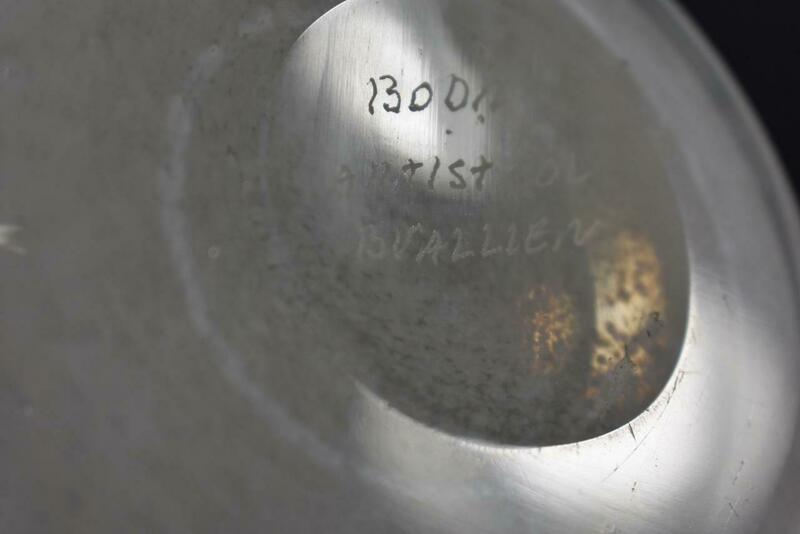 The piece is signed B Vallien on the bottom. Very good condition with no chips or damage; there is some irregularity in the applied red rim as photoed. 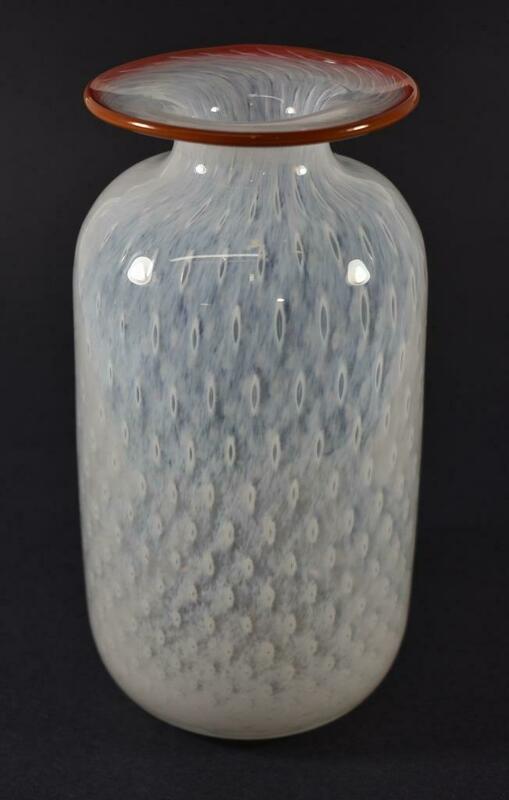 A beautiful 8″ Kosta Boda vase by Bertil Vallien. 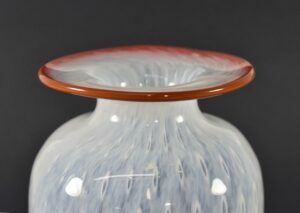 This jar-like shaped vase is finished at the top by a pulled back rim. 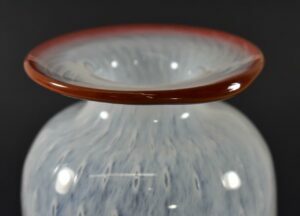 The glass is produced using a controlled bubble technique with white captured around the bubbles. The piece is signed B Vallien on the bottom. Very good condition with no chips or damage; there is some irregularity in the applied red rim as photoed. Please give us a call at (419) 473-3373 with any questions.